Trenten Williams, who graduates May 8 with a Bachelor of Science in Biology, is the President's Scholar for the Class of 2018. Each year, a graduating senior is chosen by MGA's Honors, Awards and Graduation Committee, with the approval of the University president, to be the President's Scholar based on her or his outstanding academic record, involvement in campus and/or community service activities, and demonstration of characteristics indicating the promise of a successful future. A first-generation college student, Williams will soon begin dental school at Augusta University. Full Name: Trenten James Williams. High School: Veterans High School, where he participated in Beta Club and Future Business Leaders of America, and worked 40+ hours a week at Chick-fil-A. Family: Denise and Jimmy Williams (parents), Austin Williams (brother). Employment: Chick-fil-A and Family Dental Associates. Activities: "While at MGA I volunteered at Rehoboth Dental Clinic. I also volunteered for Habitat for Humanity. As a sophomore and a junior, I conducted research on the genetics of Stevia randibuana, the plant that Stevia sweetener is derived from." Career Goals: "I have been accepted to the Dental College of Georgia in Augusta and will begin my studies in July. I have known from an early age of my desire to help others. Upon recognizing that dentistry was the career I was called to do, I realized that improving the oral health of patients would allow me to have a positive impact on the many people that I come in contact with. Whether it is improving a patient’s smile while also increasing their confidence level that comes along with that beautiful smile, or providing care to patients in pain, becoming the best dental professional is my lifelong goal." He chose Middle Georgia State University because … "When I was choosing the college that was right for me, MGA filled all of the requirements that I desired. I wanted to be able to live with my family while working as I obtained my bachelor’s degree. My ultimate goal was to graduate with my bachelor's debt-free because I was aware of the immense loans of a dental school student. I am happy to say that I successfully obtained my bachelor’s degree while working two jobs and also shadowing at the Rehoboth Dental Clinic in order to gain dental experience. Attending MGA allowed me to achieve my goal of living at home, while working, so that I could pay for my academic studies in full." The greatest thing he discovered about Middle Georgia State was … "The faculty that I have had the pleasure of interacting with while at MGA are extremely professional and personable. They are eager to assist at any time and always go above and beyond in order to ensure the success of the students." 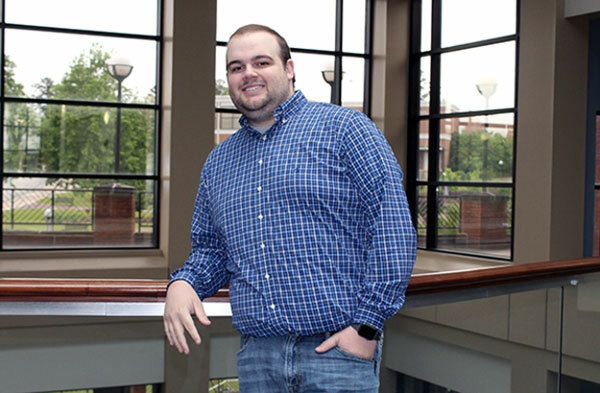 His greatest academic experience as a Middle Georgia State student has been … "My research experience at MGA is my greatest academic experience. I was able to study the genetics of Stevia randibuana and the effects that certain chemicals have on the genetics of this plant. This experience lasted three semesters and over that time I was able to present my research at the Undergraduate Conference at MGA. I was also able to attend other conferences funded by two STEM grants that I received." To him, “greatness” means … "You strive to be the best at every goal that you set for yourself. No one is perfect, so greatness is relative. As long as you strive to be the best you can be and put in the work required to reach your goals, you will be great at whatever it is that you do. I personally am not motivated by the recognition that comes with success but rather I am motivated by becoming the best dentist that I can become. The fulfillment that I get from giving the best care possible to my patients by far outweighs the fulfillment I get from receiving recognition for my actions." In five years … "After graduating from dental school and obtaining my D.M.D., I plan to enroll in the general practice residency program. During this one-year residency, I will gain knowledge in advanced dental procedures such as implants, fixed and removable prosthodontics, IV sedation, and other various procedures. As a doctor, I will be dedicated to a lifelong pursuit of continued education. By learning new techniques and medical innovations as they are developed, I will be able to provide the best dental care to my patients. On a personal note, I will strive to be a strong, Christian leader as a husband and father for my future family. I hope to set the example to my future children that any goal can be achieved through hard work, perseverance, and determination."